This set includes all the all the must-haves for acne-prone skin. 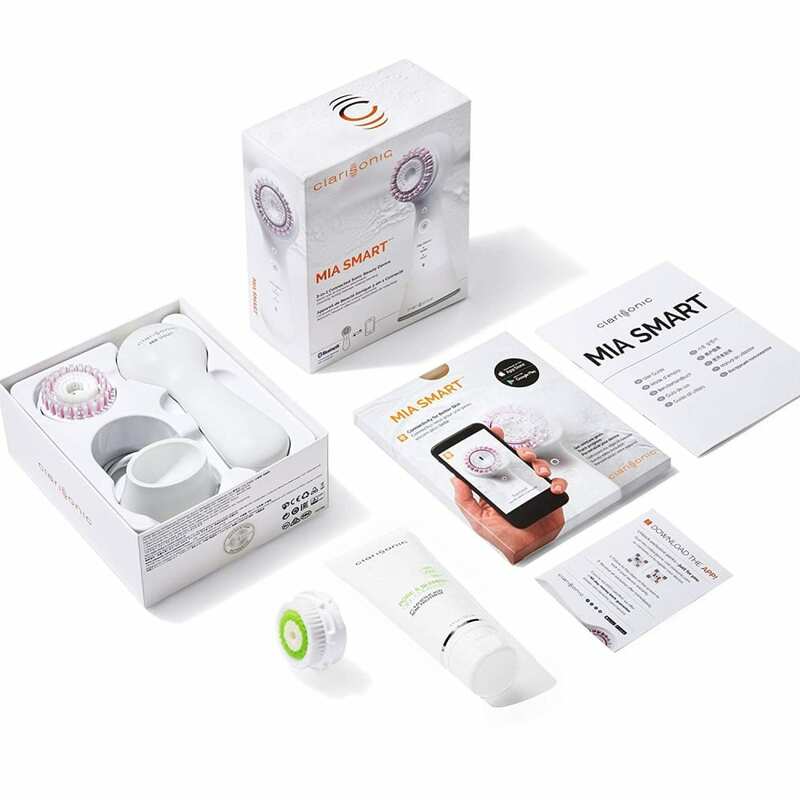 Deep clean clogged pores and eliminate excess shine with Clarisonic Mia Smart Deluxe Acne Cleansing Kit. Award-winning Mia Smart works with the Acne Facial Cleansing Brush Head and Pore & Blemish cleanser to remove 99% of oil, makeup and impurities through the power of sonic cleansing. Connect to the Clarisonic app to upload personalized routines for your specific needs.Clarisonic Acne brush head is designed for sensitive, acne-prone skin, and it gently removes trouble-causing debris from your pores and leaves skin softer, smoother, and comfortably clean. The Clarisonic Pore & Blemish cleanser is a clear gel-to-foam cleanser with 2% salicylic acid and exclusive micro-exfoliating Lipo Hydroxy Acid to precisely target cell-by-cell debris removal. Pair your Mia Smart with the Clarisonic app to track achievements, customize your routine, get reminders or shop other recommended products that complement your device. It’s also helpful for how-to videos and articles on the benefits of each brush head.Built-in time strip activates by itself when you attach your brush head. Use as a reminder to replace your brush head when it turns red.